William "Bill" Eggers, 67, of Leigh, died Thursday, December 28, 2017, at his home. Funeral Service Wednesday, January 3, 2018 11:00 A.M.
William Dean Eggers was born August 20, 1950, in Norfolk, Nebraska to Alvin and Olga (Renner) Eggers. After graduating from High School he enlisted in the United States Marine Corp, serving from 1969-1974 as a radio technician. On December 19, 1970, he married Theresa Bowman in Anaheim, California. Following his discharge from the Marines, he worked for the Metropolitan Sewer District in Louisville, Kentucky. While there he worked as a clerk, union president, equipment operator, and was a wastewater treatment operator, level 4, when he retired. Bill was able to maintain his class 4 license and occasionally assist with Leigh wastewater treatment. After retiring, he and Theresa moved to Leigh and operated Bill's Bar from 1999-2012. The bar was a "Family Tradition". Bill enjoyed playing pool, bowling, golf, watching softball and attending gun shows. 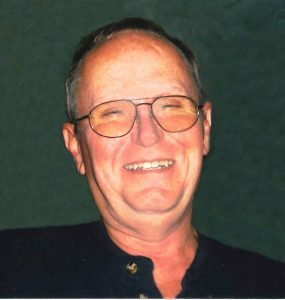 He was a member of the Leigh Volunteer Fire Department for 13 years, Civil Defense Coordinator for 10 years and was a member of Sucha Post 302 of the American Legion, Leigh, Nebraska. He is survived by his wife, Theresa Eggers of Leigh, one sister, Lanina Condon of Tabor, Iowa and many nieces and nephews. He was preceded in death by his parents, one sister, Marlene Liermann, brothers-in-law Ron Condon and Vernon Liermann and three nephews; Terry and Todd Condon and Clark Ahrens.